Ron Redmond, Queensland Police Force. Appointed Deputy Commissioner on 02.07.1987, Ronald Joseph Redmond became Acting Commissioner of Police just two months later, replacing Commissioner Terence Lewis. Image PM1180 Courtesy of the Queensland Police Museum. The eleventh Deputy Commissioner, Ronald Joseph Redmond, rose to this rank on 02.07.1987 after 35 years in a variety of state-wide branches. A long term member of the CIB, R.Redmond was awarded a Churchill Fellowship in 1979 to enable him to study Scenes of Crime techniques in the UK and USA. Deputy Commissioner Redmond enjoyed just two months at this level before taking on the top policing job as Acting Commissioner when Terence Murray Lewis was ordered to stand down whilst allegations before the Fitzgerald Inquiry were resolved. 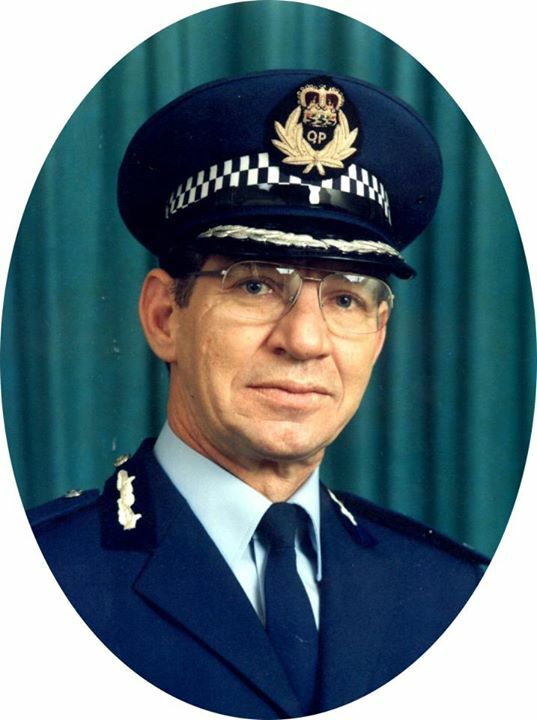 Mr Redmond guided Queensland’s Police through two turbulent years with a wealth of knowledge and fine sense of humour. Passed away peacefully at home. Beloved Husband of Fay (RIP) and Father of John-Paul. He will be sorely missed by many. A Funeral Mass to Celebrate Ron’s life will be conducted at St Francis of Assisi, 463 Oxford Street, Paddington, on Thursday, 9 April, 2015 at 11 a. m.